Quo 2015 Holiday Collection: It's Still Not Too Late! I've been holding onto this stuff for a while now because I originally wanted to do a proper review on each of Quo's Holiday Sets that I have but wanted to wait closer to the holidays. Then I got swamped with life and that obviously couldn't happen. But I don't think it's ever too late to share these awesome holiday sets with you that you could still pick up as a last minute addition to a gift. 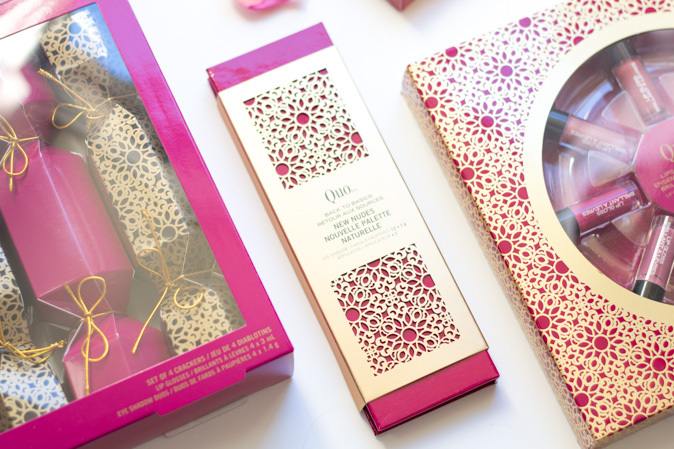 First off, the Quo Cosmetic Cracker Set ($20). This is a set of 4 crackers with 4 lipsticks and 4 eyeshadow duos. There are two different types of crackers you could get. I'd say this is super fun for a girl's holiday party, or even a good idea for a birthday party! 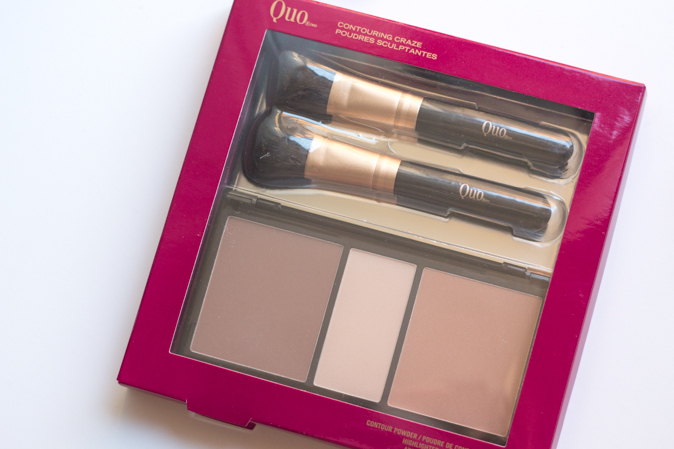 Secondly, the Quo Contouring Craze Set ($30). Comes with a contour powder, highlighter, and applicator. The two brushes are super soft synthetic fibers and kind of remind me of some of Sephora's holiday brush sets that I tried out last year. The products seem pretty unscented, the darker contour powder (left) is quite light and really likely won't show up unless used on very fair-light skin. The highlighter (middle?) seemed more like a mattifying powder to me, and the other contour shade (right) had a little more shimmer to it and I think would be ideal to add slightly more colour to the face after contouring. And my favourite, the Quo Back to Basics New Nudes Eyeshadow Palette ($25). 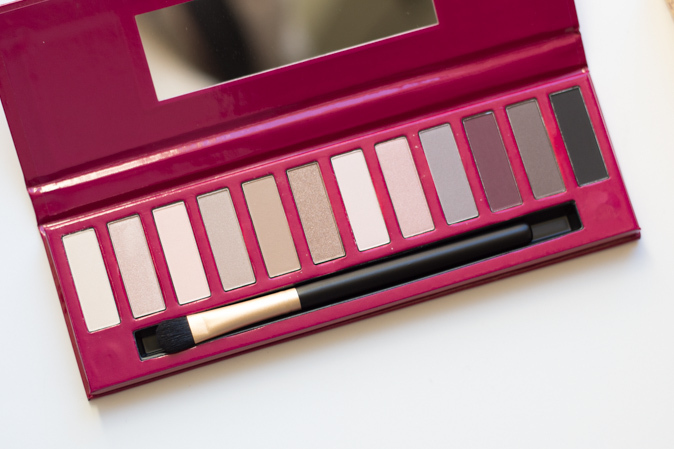 It is a gorgeous palette and soooo obviously a Naked Palette look-alike. I can't say it's a dupe though, because the pigmentation isn't the same of course. I was impressed with the shimmery shades in this palette but not so much the matte at all. And last but not least, Quo Lips All Around Lip Gloss Set ($25) comes with 8 mini sized lip glosses and the packaging is quite nicely done. 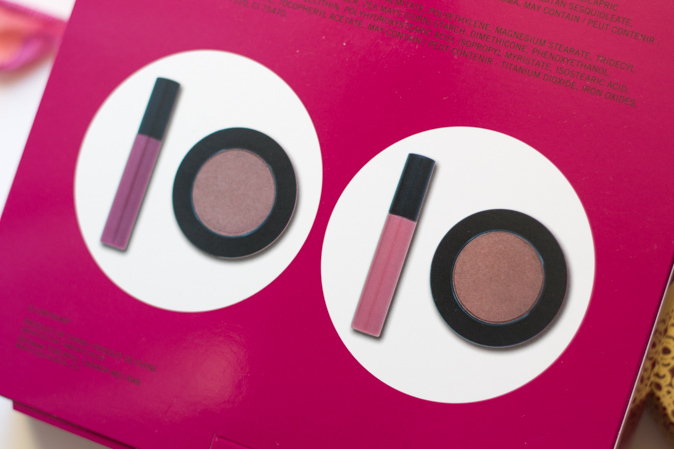 The glosses are a mixture of a pigmented gloss and glossy shimmer shades. I think there are about 4 sparkly/shimmery shades and 4 without. I love the shades of these glosses and think this is an excellent present for a teenage girl. Not to mention they are mini sized, I think us girls love that. I think I was younger than my teens when I got into lip glosses and I had so many, I was obsessed so I know how badly girls can obsess over these things! Overall, Quo makes some excellent holiday gifts but they are of course marketed to a slightly younger crowd of girls. I would highly recommend the Lips All Around Gloss Set and the Crackers as the best gifts out of the bunch! The best part about these sets are that the packaging doesn't totally scream 'holiday' and could definitely be gifted well after the holidays (well, except the cracker set, that screams holiday). Quo is available at Shoppers Drug Mart.